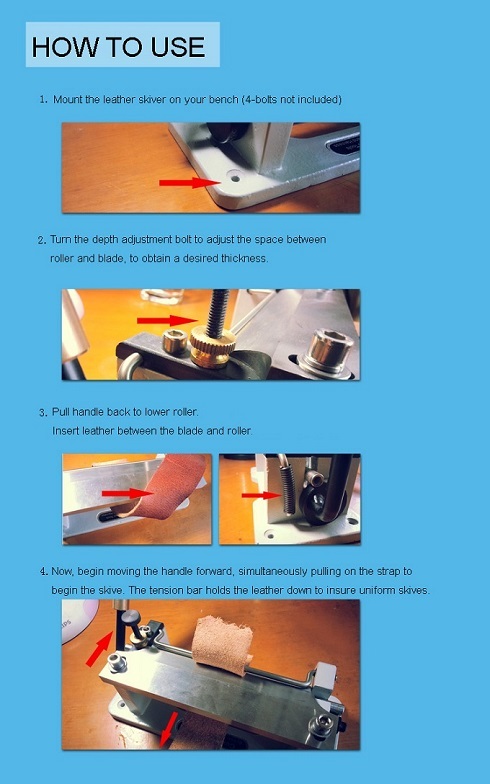 This Leather splitter is ideal for hobby or light manufacture. Used to thin (skiving) leathers down to a uniformed thickness. 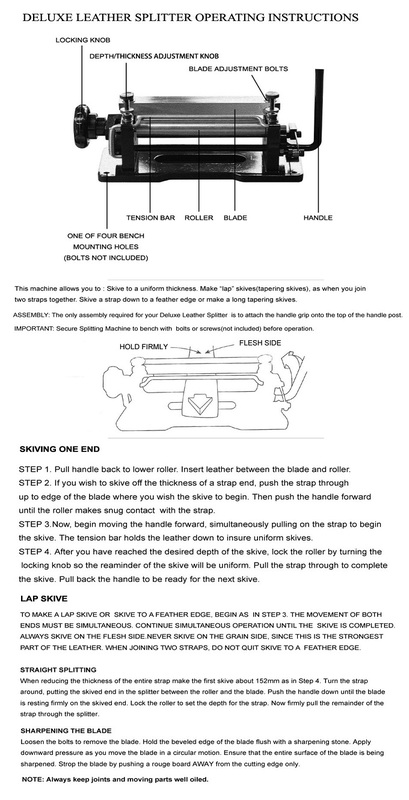 Fully adjustable to split most thicknesses of leather. Note - these are made mainly for vegetable tanned leather. The Economically-priced skiver is great for lap and level skiving; 6" precision ground blade; Handle adjustment for quick and easy lap skiving.